The BoBunny Blog: Focus on Trinkets! 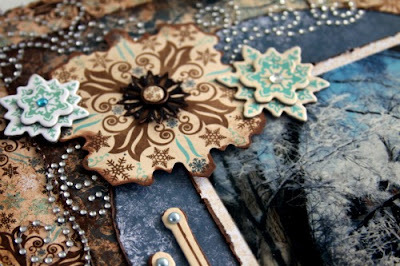 AND Swirlydoo's Blog Hop!! Focus on Trinkets! AND Swirlydoo's Blog Hop!! 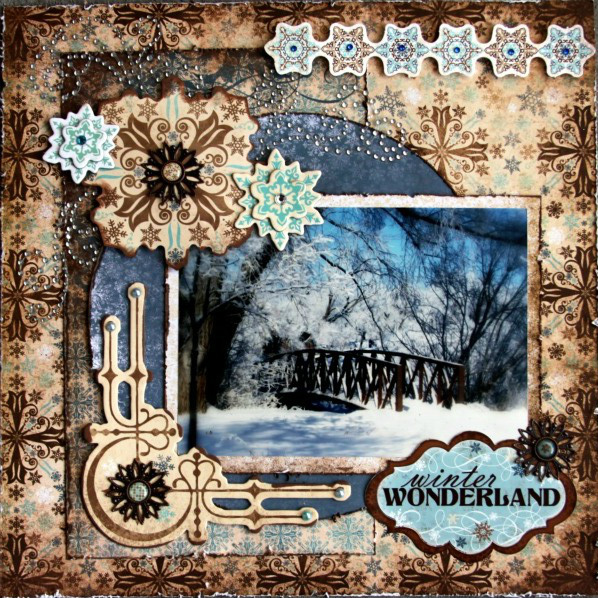 Welcome to Swirlydoos December Kit Reveal Blog Hop BLOCK PARTY!!! If you came here from Angelica's Blog (here is her addy: http://angelicascrappenings.blogspot.com/) then you are on the right track. If not, go back to Swirlydoo's blog (addy for link: http://www.swirlydoos.blogspot.com/) and pick up the trail from there. 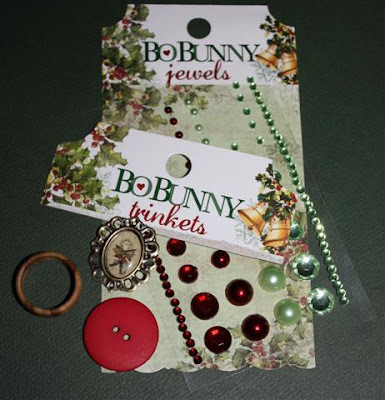 As part of the blog hop, BoBunny is giving away a Blitzen Prize Pack. 1: Visit all SIX blogs and leave a comment on each. This way we know you were there. Become a follower if you're not already. Take your time. There are beautiful things to see along the way. 2: Before you leave each blog, look for the “special” words and write them down. Once you have visited all the blogs and collected all the special words. They will create a sentence. 3: Finally, head back to the Swirlydoos blog and leave a comment letting us know how much fun you had AND tell us the sentence that was created with all of the special words you collected. My special words are "of success"
WAIT! That’s not all. Bo Bunny has a fun post for you today as well. Today's focus is on the GORGEOUS Bo Bunny Trinkets! These beautiful pieces add a touch of elegance to any project! 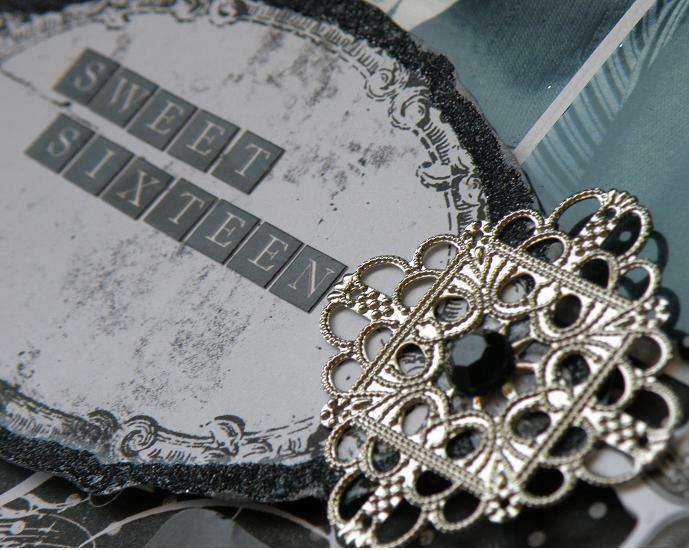 Have a peek at some of the lovely projects our design team girls have put together using these yummy Trinkets! Designers Tip: you need to use a fairly strong adhesive to prevent the ring from coming apart. I used Bostik Clear. 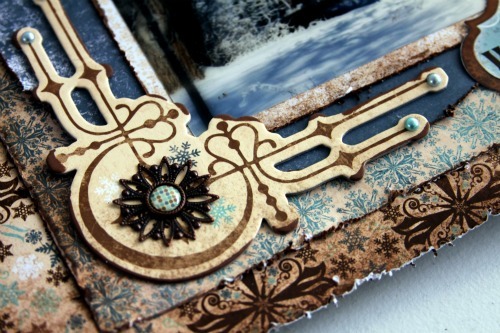 What a great addition some Trinkets can make to your winter cards! Sarah did an amazing job with her cards, made with the SnowFall collection and their coordinating trinkets! Thanks for checking out todays projects! And don't forget to leave your comment in order to have a chance at the Blitzen Collection pack! just LOVE BO BUNNY stuff. So excited you are part of this blog hop - I LOVE Bo Bunny and wish I could have every line! Oh wow! The inspiration today is amazing. Those layouts and cards were stunning. Trinkets are almost my favorite product ever! I love what you guys did with them all. Great ideas for my 'idea' file. And Jolanda... your son is very handsome! Love it! Love it! Love is! Just can't say it enough. I have always loved Bo Bunny products! The trinkets are perfect embellies! Love how they have been used in these projects! Wow---what a beuatiful stop on the hop! wonderful blog hop and blog post about your wonderful trinkets! Love the new Blitzen collection! It's gorgeous! Amazing projects! I'm already a follower...don't miss a Bo Bunny day! Merry Christmas! Love all the ladies amazing work!! Already a follower of your blog! LOVE Those trinkets and beautiful projects. I Love Love Love your products! I think right now my fav is the Snowfall collection!! I have already bought 2 packs of it to make my Christmas cards! wow...the creations with the trinkets were very cool!! i love bobunny! I love trinkets. Very cool addition to any BB line! Great projects! Winter Wonderland is absolutely GORGEOUS! I LOVE, LOVE, LOVE Bo Bunny products. The layouts and projects created by these talented ladies are just AMAZING! These projects are wonderful! Your papers are beautiful. I especially like the cards. Thanks! Visited as part of the Swirlydoos blog hop but stayed for the beautiful LOs. Love Bo Bunny! This has been a fun journey! So many exciting ideas. Stunning projects!! 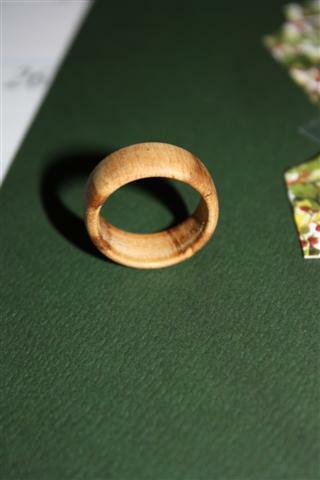 The ring is very creative and soooo much fun! Thank you for playing along with us this month! I love all things Bo Bunny. I used a lot of it to make my Christmas cards this year. I wish I had the creativity that your wonderful design team has,,,how fabulous are the projects. 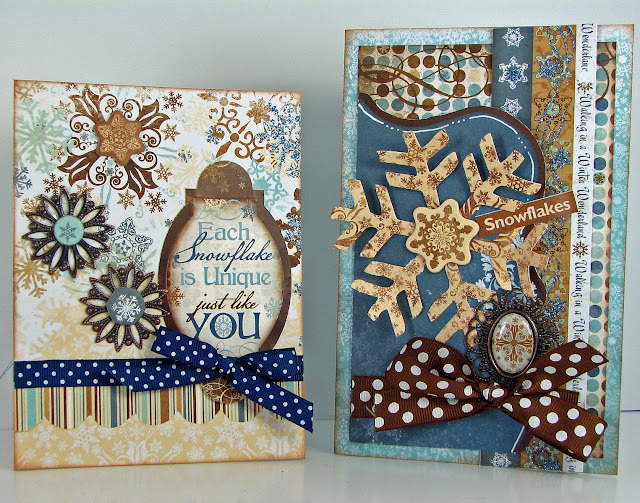 I am totally in love with the Blitzen collection, brown and blues are my favorite combo. Thanks for sharing the creativity and your awesome products. LOVE all things Bo Bunny, but this collection is just the best. That winter wonderland layout makes me miss snow sooooo much! Thanks for the blog hop. I really like Bo Bunny products. beautiful projects. gotta get me some trinkets. Thank you ladies for the amazing inspiration!!!! I loooove Bo Bunny products!!! Such a great hop, I love Bo Bunny! I love this Lay Out thank you for posting. Love this Lay Out thank you for posting. These are all so beautiful! I am so excited too because I just got the paper used in the first LO and bottom cards and can't wait to use it! Beautiful projects. Those papers are just beautiful. I'm really loving your papers. The Bobunny trinkets are one of my favs!!! Thanks for the chance to win some beautiful supplies!! 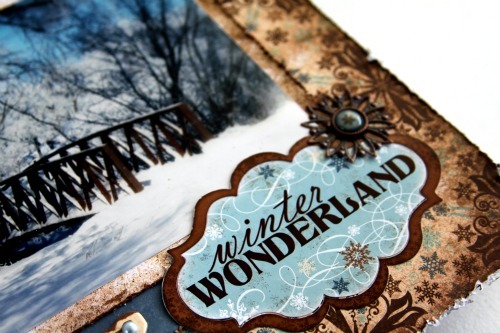 Love the winter wonderland layout. I am a follower on Facebook. 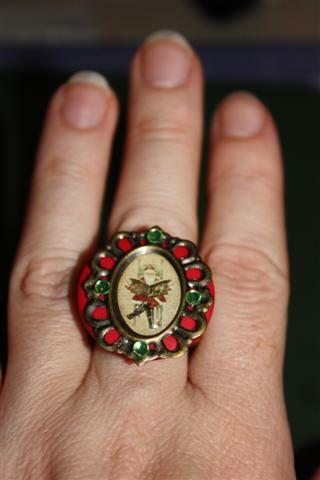 Love the Christmas ring. Thanks for the Blog Hop. The snow scene page is fantastic and I love the photo. 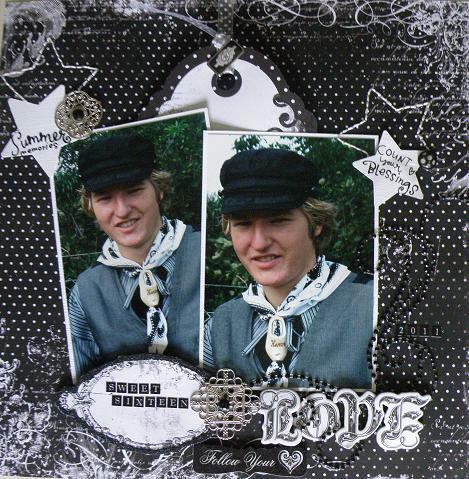 I love the scrapbook page and the photo is gorgeous. I want some of the paper and bling. Love yout products!! Especially the trinkets!! Love BoBunny!!! love these layouts & cards featured!! Fantastic projects! You can never go wrong with Bo Bunny! I love the Winter Wonderland layout. I love Bo Bunny. As always, love you Bo Bunny. GOT to get some trinkets! love the blitzen collection and all of the beautiful things I have seen so far!! Beautiful work Love Bo Bunny! Beautiful projects. I love the Snowfall collection. thank you for being part of the blog hop I LOVE BO BUNNY!!!!!! Your collections are amazing! I just love the dark colors and embellies! Thanks for the chance to win an awesome prize package! Beautiful projects!! I love the ring!!! I just became a follower!! Debbie Sherman's photo takes the prize! It sure makes the papers and trinkets look good. Been a follower for a while. Thanks for participating in the Swirlydoos blog hop. Loved these layouts and the ideas shown. Big fan of BB and since I'm still making Christmas cards - enjoyed seeing the ideas here. Aw! Awesome trinkets! Love all of the projects on here! Oh wowZers what fab ideas. Love bobunny !! Your products are fantastic...just can't get enough! All the projects I've seen are amazing!! thanks for the chance to win and for the inspiration ! I have never been to your blog but I love BoBunny. I sure learned a lot about what I can do with some of the BoBunny paper I have in my collection. Bo Bunny is just amazing, hands down! All the projects are just beautiful! I am a HUGE fan of Bo Bunny product. The work today is fabulous. Thanks for participating in the blog hop. So many nice projects. The ring was COOL. Did someone say Bo Bunny!!!! So exciting! Love Bo Bunny! Those Trinkets are just would look great on my Christmas projects...just saying! Thanks for the chance to win! BIG fan of your products, they seem to be getting better all the time. can't wait to see what's at CHA in January! Bo Bunny is one of my favorite lines - always fun stuff to play with. Bo Bunny and Swirlydoos are such a special combination. Fabulous projects! Can't wait for my kit to arrive!!!! Love those trinkets and love the ideas that you've provided!!!! I love BoBunny goodies! Especially the beautiful Christmas paper they always have!! I just love all the layouts on this blog! Lots of inspiration! I LOVE the first layout! That picture is stunning and you did a fantastic job creating with it! I am really excited about the trinkets and can't wait to use them. I know everyone is thinking the holidays, but I'm starting work on an African Safari album for some friends and am going to be scouring the blog for LO ideas! i LOVE everything Bo Bunny. I loved the Father Christmas line and the idea of making the Christmas ring was fantastic. All the projects and the trinkets are awesome. I always have to buy trinkets with the paper or whatever I purchase. Can't go wrong using Bo Bunny -- my favorite. The winter wonderlayouts are just amazing!!! !I love this Blog Hop, so many ideas!! Love BoBunny trinkets. 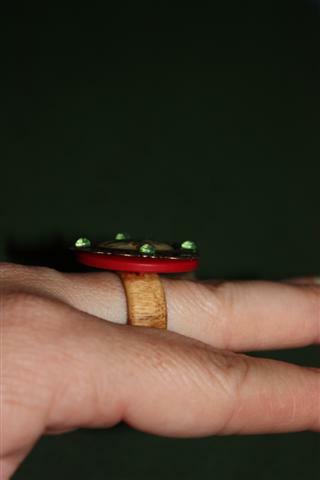 Love the ring made with them.